Elektra Women’s Choir (Vancouver, BC). 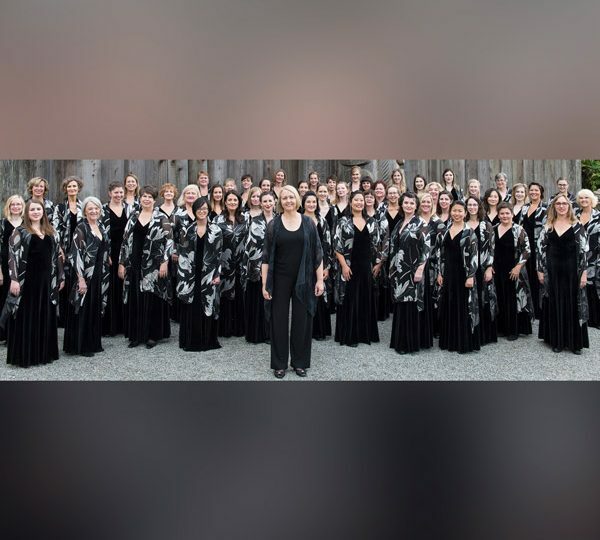 Elektra Women’s Choir from Vancouver, BC has been a leader among women’s choirs since 1987. Under the direction of CoFounder and Artistic Director Morna Edmundson the choir is known for its adventurous programming, seeking out music written specifically for women and frequently commissioning new works. Elektra’s mandate is to “inspire and lead in the choral art form through excellence in performance and the creation, exploration, and celebration of women’s repertoire.” Co-directed by Edmundson and the late Diane Loomer, C.M. for its first two decades, the choir is honoured to work with an outstanding accompanist, Dr. Stephen Smith. Elektra delivers its mandate through an annual concert series including new and commissioned works and featuring outstanding guest artists. In addition to performing worthy repertoire from the past, Elektra has commissioned over 80 compositions and arrangements. The choir’s recordings on iTunes and CD Baby extend the reach of its repertoire internationally. Elektra’s 14th CD, Your One and Only Life, was released in November 2017 and features the music of Canadians Allan, Corlis, Fulton, Hanson, Murphy, Quartel, Smith, and the Wailin’ Jennys. Elektra’s website offers a permanent repertoire resource featuring all works programmed by the choir to date. Elektra’s celebrated outreach programs encourage, train, and mentor the next generation of youth and adults: singers, conductors, and composers. A multiple national prize-winning ensemble, Elektra has been honoured to perform at conferences of Choral Canada, the American Choral Directors Association, Chorus America, the International Society for Music Education, and the International Federation for Choral Music. Elektra participates enthusiastically in shared projects with other arts organizations such as the Vancouver Symphony Orchestra and Chor Leoni Men’s Choir, and in festivals and concert series. In July 2017, Elektra was one of two choirs representing Canada at the World Symposium on Choral Music, in Barcelona, Spain. Morna Edmundson is one of Canada’s best-known choral conductors with a strong reputation for excellence. She is Artistic Director of Elektra Women’s Choir and, starting in September 2018, EnChor. Under her leadership, Elektra is a proud leader in the women’s choir community, programming a season of concerts, commissioning, recording, and engaging with women of all ages and their conductors through a suite of outreach programs. Passionate since childhood about choral singing, Morna obtained degrees and diplomas in vocal music in Vancouver, Bellingham, and Stockholm, Sweden where her teachers included Eric Ericson. For 14 years Morna shared her love of quality repertoire with a new generation of singers in her role as Associate Artistic Director of Coastal Sound Music Academy. Morna has adjudicated in North America and Asia, conducted state honour choirs, co-directed the American Choral Directors Association National Women’s Honour Choir, and gives frequent workshops with choirs of all ages. Her accomplishments have been recognized with the BC Choral Federation’s Healey Willan Award (2000), a BC Community Achievement Award (2009), YWCA Woman of Distinction Award, Arts and Culture category (2011), and UBC Alumni Builder Award (2017). Since 2013, she has served as a Board member of Chorus America.